The 9th European Universities Football Championship tournament takes place in Istanbul, Turkey and University teams from all over Europe are due to take part. The event is being organised by a committee that also represents the European University Sports Association and the Turkish University Sports Federation. 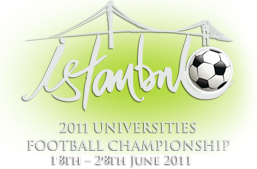 The hosts are the champions of the 8th European Universities Football Championship Halic University Istanbul. There will be both a men’s and a women’s tournament and the matches will be taking place at a number of stadiums in Istanbul, including the Sariyer Stadium, the Marmara University Stadium, and the Eyup Stadium. Istanbul has a long and varied history and visitors will be able to do more than watch football, as the city is the cultural centre of the country.